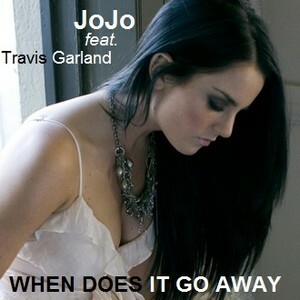 JoJo - When Does It Go Away. . Wallpaper and background images in the JoJo Levesque club tagged: jojo when does it go away cover. This JoJo Levesque fan art contains 명예의 신부 들러리, 하녀, 신부 들러리, 하녀의 하녀, and 들러리. There might also be 겉옷, 가운, 부케, 코사지, 꽃다발, posy, nosegay, 코 사지, 저녁 식사 드레스, 저녁 드레스, 정장, 이브닝 가운, 저녁 가운, and 공식적인.